Raising funds for your chosen charity can be challenging in today’s difficult economy, and discovering what works to make the public want to give their hard-earned money to a charitable project could be just a great charity wristband away. Personalised wristbands are generally constructed from bracelet-like strips of silicone that are designed to be worn around the wrist. The bands are eye-catching and usually deliver a message signifying the effort. The slogan and even the color is what will evoke many people with the desire to help the cause. Charity wristbands usually get instant recognition for the particular cause at hand, and work as fashion statements on many occasions. Celebrities display a customised Charity wristband which further causes their fans to want to purchase one or donate to the cause it represents. An embossed band, using single or two-colored printing or swirled designs can be creative. Silicone slap bands are becoming widely popular around the world and are designed to make a fashion statement. How To Choose A Design and Colour. It is inexpensive to personalise and customise a charity band, adding funds to your cause. The bands could cost a pound or less per customer, adding up quickly for needed research and support. A few steps prior to placing the order can help you be on your way to raising money for your charity. Choose your slogan. It is normally a short message or symbol that is engraved around the wristband that represents the overall cause of your campaign. Choose a colour. The colour is what will make the band distinctive and attract the customer or charity donor. You may want to choose a swirl or a single bright colour to catch the eye. Some charities choose solid white with bold lettering. Choose the number of bands you want to sell for the particular campaign. When you promote a cause, keep your overall goal in mind. Numbers count and wristband sales can add up to needed funds and help achieve your goals quickly. One you have chosen the design, slogan, and colors for the bands, it is time to begin advertising and accessorizing. Media outlets will often help with a charity event at discounted costs. Retail stores can also help promote the bands by accessorizing their displays. 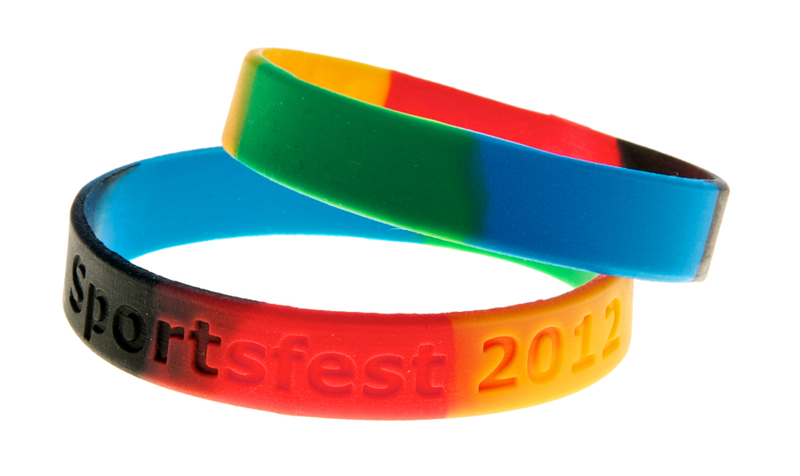 Begin your advertising campaign early so when your event date arrives, everyone will be wearing their wristbands. Whatever you choose for your cause, the customised silicone wristband continues to play a huge part in many campaign efforts to spread the word for needed financial support.